letters using a numerical keypad. If all goes according to plan, my retirement is roughly 13 years, 7 Months and 28 days away (but whose counting?) There is still a fair amount of time to go, and a lot can change - so although not top of my mind, I have recently been giving some thought on how to minimise my Tax burden in retirement. Naturally you want to pay as little Tax as possible (if there is anyone out there wanting to maximise their Tax in retirement, get in touch!). The first thing I thought I would check out is the Tax efficiency of Interest Income versus Dividend Income. In retirement, you are probably going to want some cash flow coming into your account to fund your living expenses. Now there a many ways to achieve this, but perhaps the most obvious are interest payments and dividend payments. So a good place to start? Below is some background on how Tax on Interest Income and Dividend Income works at the moment (2018 Tax Year). You can check out the SARS website for the more official version of the below. A graph of this is pretty simple - just a straight line (remember y=mx+c? (*hides under desk*)). Dividend Tax is a pretty straightforward calculation independent of your marginal rate. So at the lower end, from a Tax point of view, it is obviously better to earn Interest Income because there is an exemption before you will need to pay any Tax. But as your Interest Income increases, then you will need to start paying Tax. The question now becomes, at what point is it better to receive Dividend Income compared to Interest Income? So I first tackled this problem by looking at an equal lumpsum invested in an account that pays 5% interest compared to investing it in a portfolio of stocks (or single stock for those that like to live on the edge) that has a 4% dividend yield, and a 5% dividend yield. I then plotted a graph showing what you would end up with after paying tax for varying lumpsum amounts. Obviously the higher up the line on the chart, the better (more after tax income), and any crossing points represents the lumpsum at which it starts becoming better to receive dividend income compared to interest income (or vice versa). Well, pretty impossible to make any sense out of without the use of some very creative zooming, 20/20 eyesight and a lot of swearing - and then I still wanted to put in how different interest rates would affect the outcome (because let's be honest 5% is not that great an interest rate). But can you imagine the mess then? And if I added in some extra dividend yield options, we would be looking at a real plate of spaghetti! The other problem with the chart was that as more interest was earned it would push you into higher Tax brackets (as I mentioned earlier). So some interest would be charged at a certain Tax rate, and additional interest would be charged at a higher Tax rate. In other words my straight line representation of after Tax interest income is not entirely accurate. I wanted something that I could enter any interest rate I liked, any dividend yield I liked, and then any taxable income (which could be used to figure out the marginal tax rate to apply to the interest income). Then, based on these inputs, it should spit out a pretty picture of the after Tax amount for Interest Income and Dividend Income according to the lumpsum invested. Nice and flexible, and caters for any scenario. While scratching around for a solution, I stumbled across the the Google Charts API which turned out to be a lot of fun to play with - dare I say more fun than a game of pick up sticks? And the result is much cleaner, clearer and customisable! 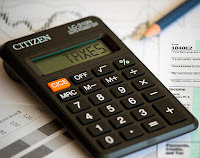 Before you dive right in, a disclaimer - this calculator thingy is just a guide, and if you have a complicated Tax situation you should probably consult a financial adviser or Tax adviser - so use it at your own risk. Enter your annual taxable income. If you are still working, this could be your salary. If you are retired, you may be getting taxable income from an annuity. or taxable income from a rental property. This amount will determine your marginal Tax rate for the calculation of the amount of Tax on the Interest Income. If you want to ignore any other taxable income, then just make the value 0. Enter an interest rate. I guess the current going rate for a Money Market is around 7% these days? RSA retail bonds maybe give a bit more than that. Enter a Dividend Yield. The value you use here could vary greatly. In general you will do well to find a share with anything more than a 5% dividend yield - but not impossible. And of course dividends generally increase over time. So the yield on what you originally paid for a dividend yielding investment should increase with each passing year and over many years could well end up in double digits (but the lumpsum would probably increase too and could at any time be transferred into an interest bearing account (less brokerage fees)). The graph will show you two lines representing the total after Tax income based on the lumpsum invested in either an Interest bearing account (blue line) or a dividend yielding stock/portfolio/ETF (red line). Since you want to maximise your after tax income, the higher up the line the more Tax efficient it is for the given lumpsum on the x-axis. If you want to examine crossing points more closely, you can zoom in using the slider on the bottom of the chart. You can also hover over a certain point to get the lumpsum value and after tax income at that point. Cash and Dividend paying stocks/ETF's are very very different asset classes. First decide on your investment goal, risk tolerance and duration, and base your investment choice on that. Then try minimise tax. Cash (which pays interest) has different characteristics to an investment in dividend paying shares/ETF's. So for example, don't choose cash as an asset class for a very long term investment just because you will pay less tax on the interest. Of course you could split a lumpsum and for example invest some in an interest bearing account while it is more tax efficient to do so (until the lines in the above chart cross) and then put the rest in a dividend paying investment. I think having a portion of your retirement funds in cash is probably a good idea for anyone, regardless of their Tax scenario (emergency fund/flexibility when markets are down etc.) As an added bonus you can score some tax free interest on this. Bear in mind that at a 6% interest rate, you can have around R400k in cash and not have to worry about paying any Tax on the interest.